We’re still working on cards to send to Houston this month, over at Splitcoast. Today’s challenge: use something that you might treat yourself to on your card. Well for some inexplicable reason…wine was the first thing that came to mind and this stamp fit the bill perfectly. A very simple card today. 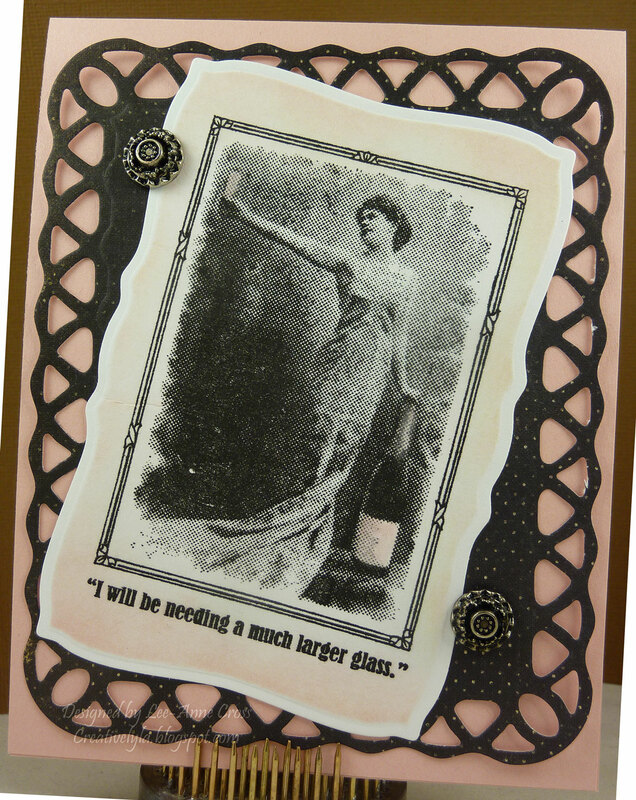 Just stamped the image and used a blender pen with some Stampin’ Up! Blushing Bride ink to color the wine glass and bottle. Then I sponged around the outside edges of the image while it was still in the die. A lattice frame in behind the image and a couple of brads…and done!